Founded in 1870, the Chicago Cubs are the longest continuous one-city franchise in North American sports history. They are currently in the Central Division of the National League and have played their home games at Wrigley Field in Chicago since 1916. Their colors are blue, red, white and grey. 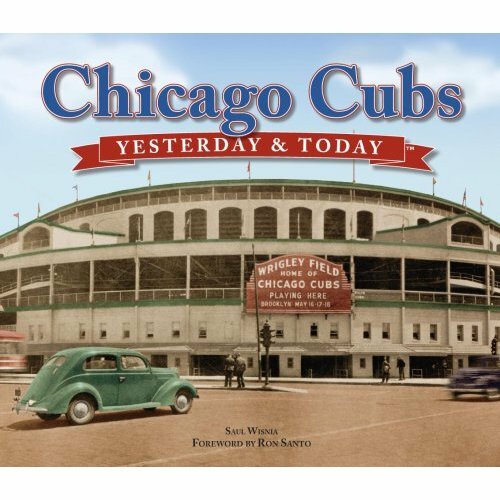 After a bit of a lull, the Cubs had a few very competitive teams in the late twenties and thirties, with Hall of Famers such as Hack Wilson, Gabby Hartnett, Rogers Hornsby and Kiki Cuyler and Dizzy Dean making their home at Wrigley. However the Cubs couldn’t win another World Series in three chances. The Cubs made the Fall Classic again in 1945 and in Game Four of the series, with the Cubs up over the Tigers two games to one, team owner P.K. Wrigley ejected fan Billy Saines from Wrigley Field because he had brought his pet goat. Allegedly Saines muttered something about the Cubs “never winning again” as he was being escorted out. The Cubs lost the ‘45 Series in seven, and the “Curse of the Billy Goat” was born. It was a harsh curse indeed and the Cubs struggled mightily for the next twenty years. It looked like they were going to turn things around in 1969, but their squad made up of Hall of Famers Ernie Banks, Ron Santo, Billy Williams and Ferguson Jenkins epically blew a 9.5 game late August division lead to miss the playoffs. The blew another huge division lead in 1977 and in 1984 they lost the NLCS as the heavy favorite to the San Diego Padres. The Cubs next best chance at an elusive World Series win was in 2003 when they advanced to the NLCS against the Marlins. 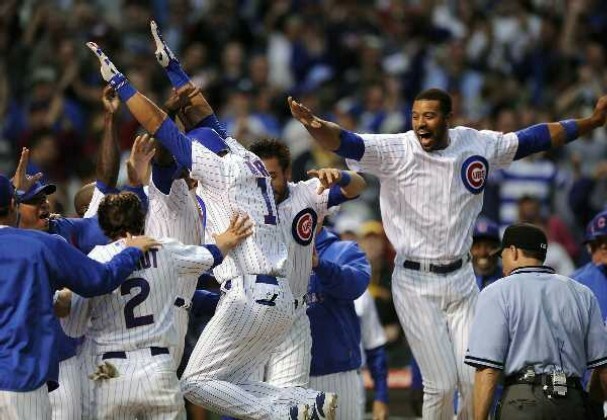 They were on the verge of winning Game Six and the series when a Cubs fan named Steve Bartman reached toward Wrigley’s railing and caught a foul ball off the bat of Luis Castillo before left fielder Moises Alou could get to it. Castillo ended up reaching base and scored, and Batman’s gaffe ended up contributing to a Cubs defeat and eventual series loss. As of 2013 the Cubs haven’t won a World Series in 104 years, the longest championship drought in North American sports history. Key players: Albert Spalding, Cap Anson, Joe Tinker, Johnny Evers, Frank Chance, Three-Finger Brown, Grover Cleveland Alexander, Hack Wilson, Gabby Hartnett, Rogers Hornsby, Kiki Cuyler, Ernie Banks, Lou Brock, Ron Santo, Billy Williams, Ferguson Jenkins, Rick Sutcliffe, Ryne Sandberg, Andre Dawson, Mark Grace, Greg Maddux, Sammy Sosa, Kerry Wood, Mark Prior, Alfonso Soriano. Division titles: 2008, 2007, 2003, 1989, 1984. World Series titles: 1908, 1907. All-time record: 10,438 and 9,976.